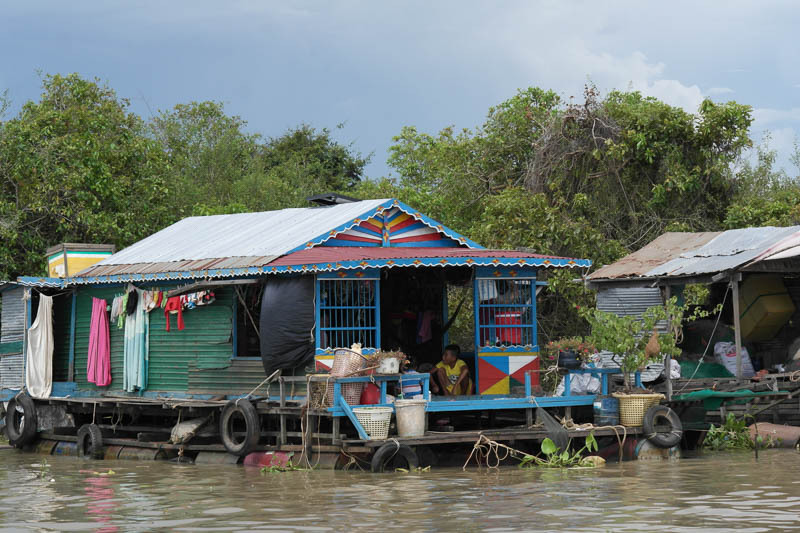 Over the summer, Helen took her family on the trip of a lifetime, to explore Cambodia. 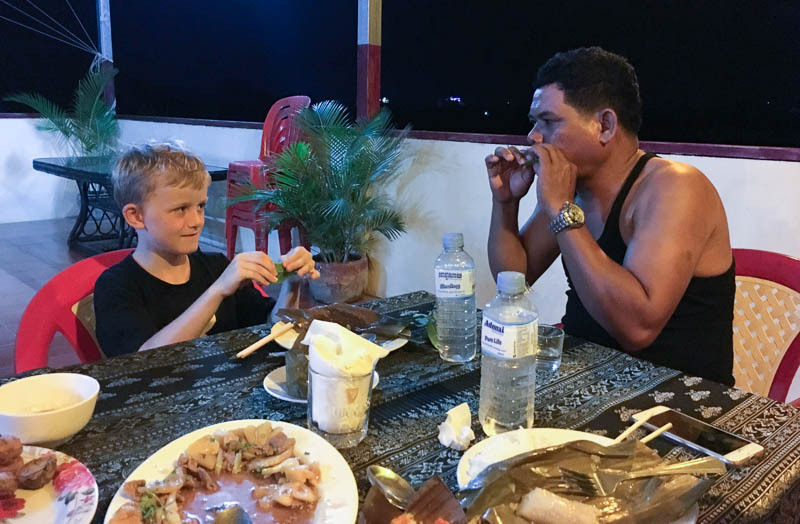 Here she explains why the Southeast Asia country changed her children’s view of the world, and why she believes Cambodia is a visit every family should add to their bucket lists. As we flew over Cambodia on our approach to Phnom Penh airport I gazed down at fields that were completely covered with water. I was perturbed to see that the banks of a river had burst, flooding the surrounding land, and I will admit to being alarmed about how much water there was. Would we even be able to see Cambodia, with this much flooding? My fears were compounded when it started to rain on our way to the hotel. Monsoon rain, that quickly had the 4x4’s kicking up waves in the road. Instantly, mopeds halted under bridges, their occupants fishing out plastic ponchos that stretched down to the ankles, before heading off again into the weaving chaos of traffic. Of course, we quickly realised that this happens all the time, that the monsoon-flooded fields are the lifeblood of Cambodia’s rice production, that this is normal. It was over as fast as it had begun, and by the time we were installed in our colonial style hotel, we were glad of a rooftop pool to cool off in the glorious sunshine. Our first purchase was a plastic poncho. As new tourists you’ll probably be dazed by Cambodia for the first day or so. The market we could see from our balcony was a stark contrast to our four star hotel. Live fish wriggled in tubs, waiting to be chosen for dinner; skinned frogs sat beside durian fruit, and in alleyways behind the stalls, families cooked, ate, and watched TV together. Everywhere you go in the capital city there is noise, bustle, and colour. You soon get used to it though. We learned that a smile and a firm ‘no thank you’ was the best way to deal with the continual offers of a tuk-tuk ride. No one took it personally – Cambodia is a poor country, and driving tourists through the busy streets is a competitive business. In fact, when you do decide you’d like a lift, you’re met with such happiness that you quickly decide to go everywhere by tuk-tuk. One of the things that astonished me was how much my children adapted to the local food. We had dinner in the home of a Battambang family, who had prepared deep fried aubergine, and fish amok, a creamy bamboo-steamed basket with spicy coconut flavours. Both my kids devoured it. They asked for second helpings of a vegetable laksa, enjoying the sweet potato they’ve always refused at home. 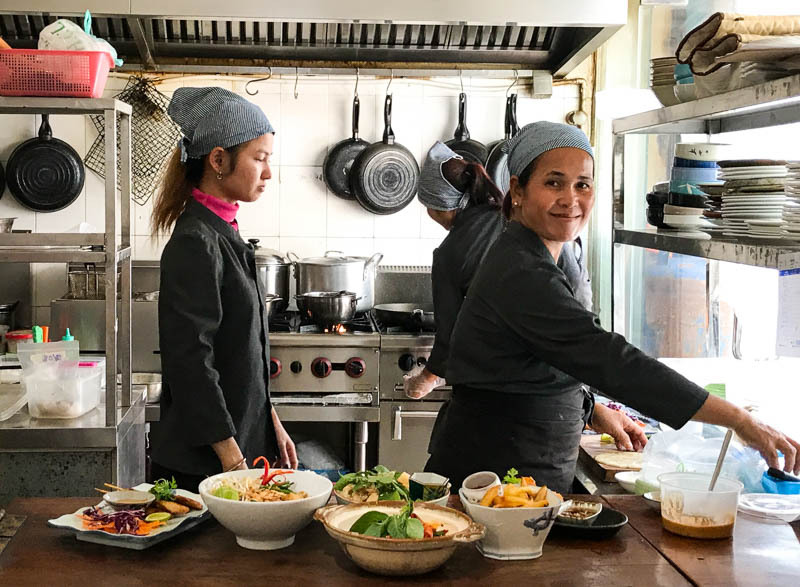 Subsequent visits to restaurants in Siem Reap saw them making more adventurous menu choices, Cambodian Beef Curry quickly becoming a favourite. My 10 year old even ate crocodile, and by the end of the holiday had total control of his unwieldy chopsticks. ‘Batman’ teaches the Bug to whistle through a leaf. 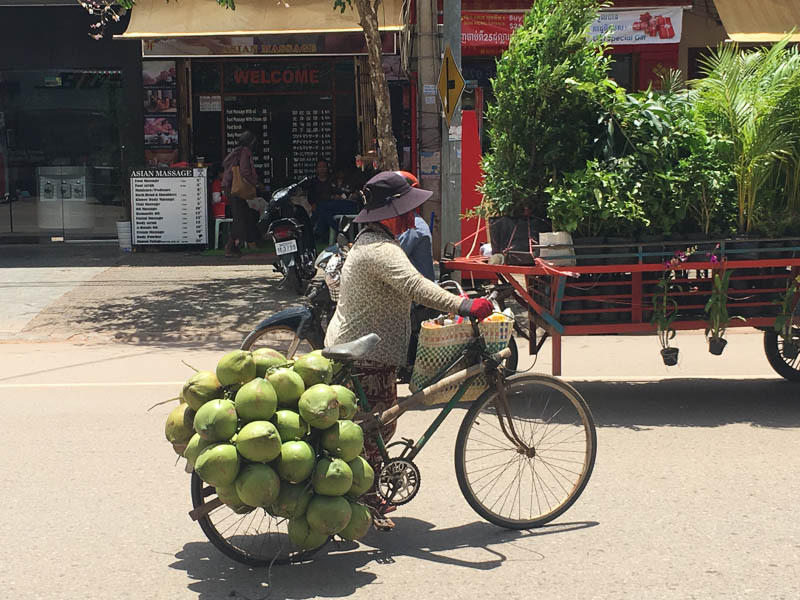 A family holiday in Cambodia will give you many of these lightbulb moments. Like why, when they’re so poor, do they spend so much money on shrines? Brightly coloured pagodas decorated with giant golden Buddhas are everywhere, ornate and opulent. Dotted around their grounds are shrines filled with offerings, from golden incense burners to cups of coffee and bread rolls. “It’s their belief in the afterlife,” explained our tour guide. What happens after we die is considered much more important than our time on earth, and the more wealth a family can put into a shrine to their deceased relative, the better their outcomes will be after death. I had to wonder if that was why everyone seems so happy in Cambodia, despite years of hardship and loss. I think travelling as part of a group tour is the main reason why I fell in love with Cambodia. I’m not a natural in the heat, I like creature comforts, and things that I trust. But spending the best part of a week with our local guide Dika not only reassured me that all our experiences were safe, and child-friendly, it also helped me to get under the skin of the country. On a longer drive between cities, we asked Dika to tell us about Pol Pot and the Khmer Rouge, and in very matter of fact statements he described what had happened to his family. His mother had been a nurse, his father a policeman. As educated people they were seen as a potential risk for the regime, and were arrested when Dika was a young child. He never saw them again. What he now knows is that they would have been taken to prison camp S21, where they might have been put to work as labourers, but where they were most likely tortured, before being killed. Even more shocking is the fact that 85% of families have a very similar story. And while the educated were being systematically wiped out, the rest of the population died from famine, as the communist model of rice farming failed. What struck me most as we travelled was the resilience and optimism of these people. Nearly everyone over the age of 20 has lost family in a terrifying fashion, and yet they seem to have so much hope for their futures. As a group we collected a tip for Dika at the end of our trip. He was so gracious in his acceptance of it, and told us that everything beyond his salary went into his children’s education, so that they might have a bright future. It’s a constant theme, this feeling of hope and the reconstruction of good. We ate at several community-inspired restaurants, where disadvantaged young people were training as chefs, and working good jobs as servers. We had some of our best meals there, and fantastic service. Our evening at the Phare Circus in Siem Reap was another inspiration, the story told through acrobatics and music of the founder’s mission to train street kids to professional world tour level, and give them new lives. Engineering students undertake actual construction jobs as they learn, rather than college projects. The need to rebuild roads falls to them, the only remaining educated resource the country has left. Everywhere we went we saw a nation intent on rebuilding, on doing things right. From the ACCB animal rehabilitation centre rescuing exotic creatures kept as pets, to the Battambang Bamboo Train, conserved to show visitors how goods transportation used to be done. The track is due to be retired, to make way for a new road linking Siem Reap to Phnom Penh, but for now it provides villagers with an income. 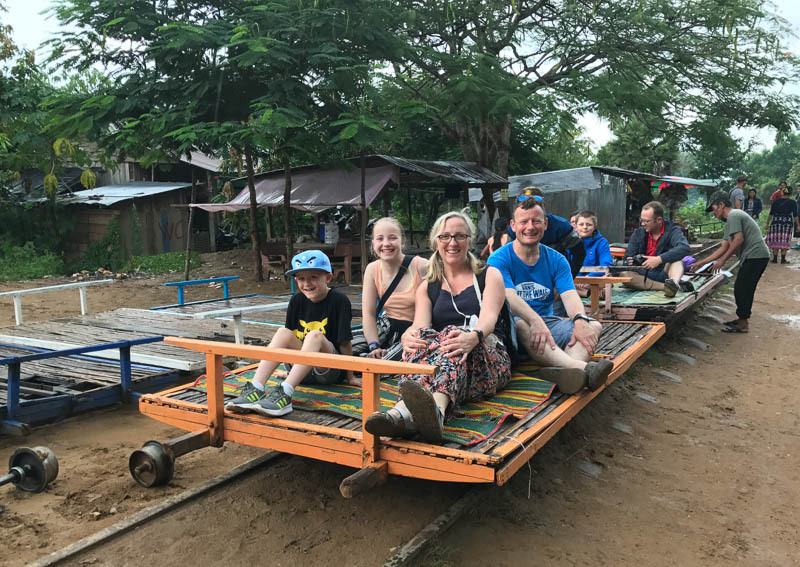 It is by far the most fun you’ll have in Battambang, as you hop off to dismantle your train when you meet someone coming the other way (the deciding factor on who interrupts their journey is the number of passengers on board)! And amongst all this was the preservation of a whole other way of life – a life that felt like something from a history book, but which was very much part of Cambodia’s here and now. From magical temples ten thousand years old, to entire villages – complete with shops, restaurants and schools – floating in the mangroves. Cambodia is a remarkable trip everyone should take in their lifetime. I’m glad my family saw it when they did. My children came home with incredible memories, and a wider understanding of the people in their world. Of their way of life, of how different we all are – and yet still the same in so many ways. 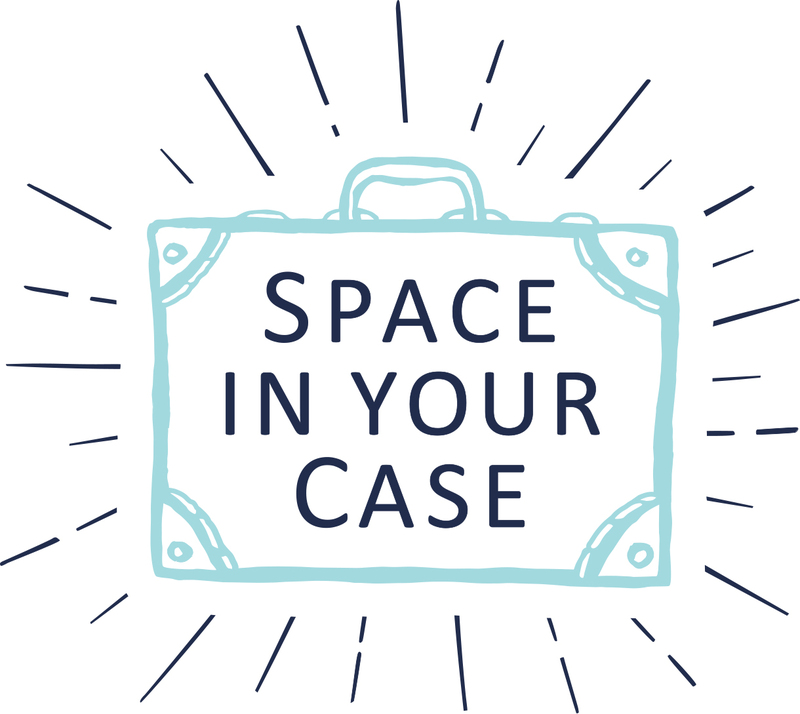 Have you taken a trip with your family that’s shifted your view of the world? We’d love to hear about it – leave a comment below. Helen travelled with her husband Jason, and children Maddie (13) and Evan (10), courtesy of The Family Adventure Company. 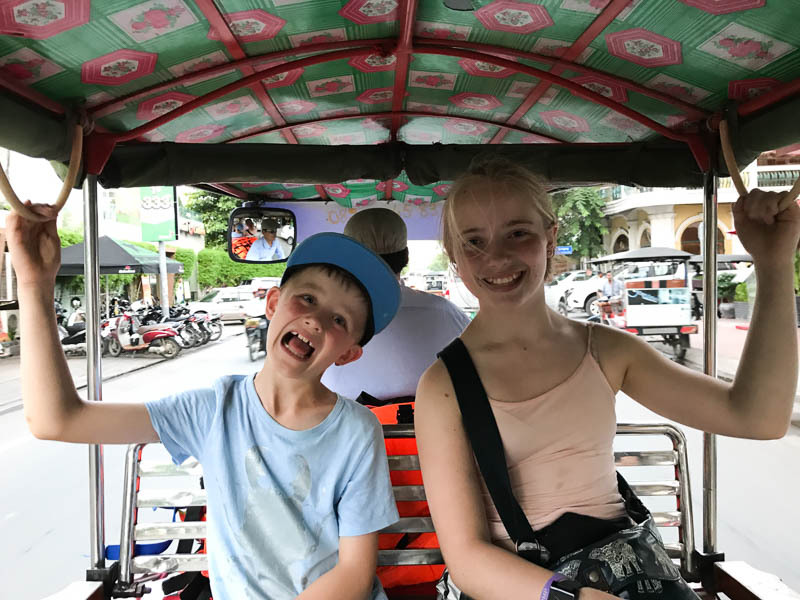 You can see more about the family’s highlights of their Cambodia trip on her blog, Actually Mummy.